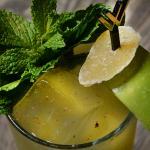 In L.A. new cocktail menus, not changed leaves, signal the arrival of a new season. That’s how we roll. 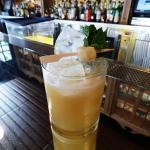 And by the looks of all the new fall cocktail menus now debuting, it’s time to fold up your beach towels. But the great thing is that even though the rest of the nation is seeking out comforting hot toddies and spiked coffees, L.A. bartenders can still showcase refreshing and bright drinks due to our extended summer-like weather. This year’s menus feature a cornucopia of favorite fall flavors like pumpkin, apple, pecan, and baking spices but in tropical drinks and smashes. Instead of highlighting my picks, however, I decided to ask the drinkmakers themselves to choose the one cocktail off their new lists that best represents the new season to them. It was like pulling teeth making them only choose one cocktail each, but here are their fall favorites. AOC’s head bartender Christiaan Rollich is especially proud of his Three Sisters cocktail. Naturally everything is made from scratch, as that’s Rollich’s M.O. 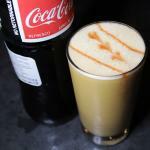 The drink is a creamy mix of Flor de Cana 7-year rum, housemade pumpkin mix, lemon, and housemade pepita syrup. “The title is a reference to the Meso-American agricultural system which was based on squash, maize, and beans,” said Rollich. For Brilliantshine’s Mrs. Edna Krabappel cocktail, mixmaster Julian Cox decided to spotlight apples. 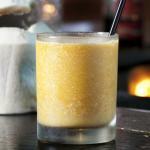 “Apples are a fall staple on cocktail menus every year. I love to add different kinds of apples together to get some more complexity from the fruit in the drink.” The cocktail has Auchentoshan Classic Single Malt, lemon, crabapple, Angostura bitters, and Red Delicious shrub. At Tal Ronnen’s vegan restaurant Crossroads, barman Jeremy Lake thinks his The Hard Times is indicative of “autumn in L.A.” with its dark spirits (bourbon and apple brandy), maple and seasonal spices, but on the rocks. The cocktail also features housemade Ras El Hanout. “I chose to use housemade Ras el Hanout because, that particular blend is traditionally made to showcase a spice trader’s premium spices. It’s his industry calling card. So, my thought is, if you’re not selling your own blend, then what’s the point, right?” he said. Gracias Madre bartender Jason Eisner describes his Last Caress creation as “pecan pie in a glass.” It’s a nutty, sweet mixture of smoked vanilla-infused tequila reposado, housemade candied pecan orgeat, maple, muddled cranberry, house aromatic bitters, and house pecan bitters. “It’s for all those expats living in L.A. who want to experience a taste of nostalgia from their youth,” he said. 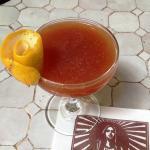 Kyle Ackley of Harlowe claims his The Beets to the Rhyme drink is the perfect celebration of that shift from hot summer temperatures to the milder weather of fall/winter. “It has some refreshing qualities that are conducive to L.A. all year long, while capturing some lovely baking spices and Tiki notes that work well throughout fall,” he explained. 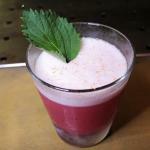 The beet-focused cocktail is comprised of Capurro Pisco, Del Maguey Crema de Mezcal, Falernum No. 2, fresh beet puree, golden balsamic, lime, and Miracle Mile Bitters. 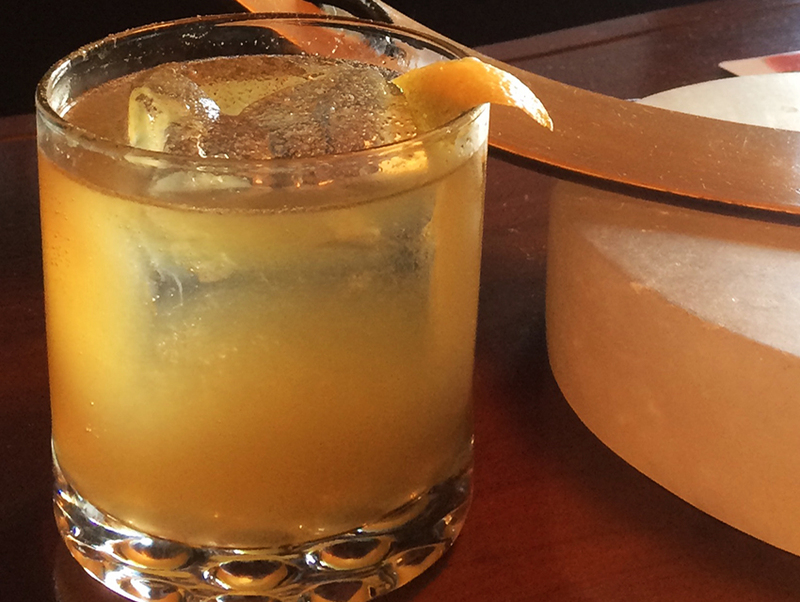 In celebration of its three recent L.A. Weekly Reader’s Choice wins, Harvard & Stone dubbed its milk punch riff, Hat Trick. 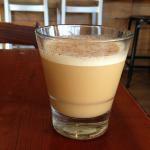 The cocktail is a very autumny mix of Pierre Ferrand Ambre cognac, Ancho Reyes chile liqueur, horchata, and nutmeg. “Although the October heat doesn’t feel like fall, this combination of cognac and chile topped with nutmeg does,” said bar manager Yael Vengroff. If you’re dying for something that gives you the warm fuzzies like freshly baked cookies does, check out Short Order’s Snap Krackle Cold Brew made with Art in the Age Snap, Lemon Hart 151 rum, Strauss half and half, 24-hour Verve cold brew, and cinnamon. “It’s a boozy version of the spiced latte phenomenon that seems to sweep the country this time of year,” said Bar Program Director Courtney White.